Kazuyoshi Ishii, a former K-1 martial arts promoter, was handed a 22-month prison sentence Wednesday by the Tokyo District Court for evading 300 million yen in corporate taxes. 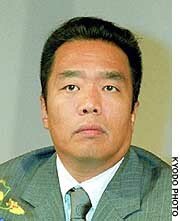 Ishii, 50, had pleaded guilty and voiced regret over his actions, seeking a suspended prison term. Prosecutors had demanded a 42-month sentence. 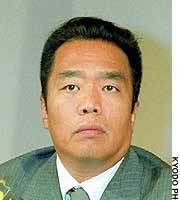 In imposing the prison term, presiding Judge Yoshinobu Iida said Ishii had evaded “a large amount of tax” and that it was a “bold and malicious” act. Ishii’s lawyers immediately appealed the ruling. The court ordered the company, titled K-1, to pay 70 million yen in fines. According to the court, Ishii, with the aid of two others, concealed about 900 million yen in income over the four years to 2000 by falsely declaring the money as promotional fees paid to another company. He avoided paying some 300 million yen in corporate taxes through this deception. The two others, a tax accountant and a business associate of Ishii, have been tried and found guilty in the case. Launched in 1993, K-1 is a competitive ring sport involving participants from various martial arts disciplines, including karate and kick-boxing.